Case Study: Integral Construction – Solving large scale building document load with auto and email filing. 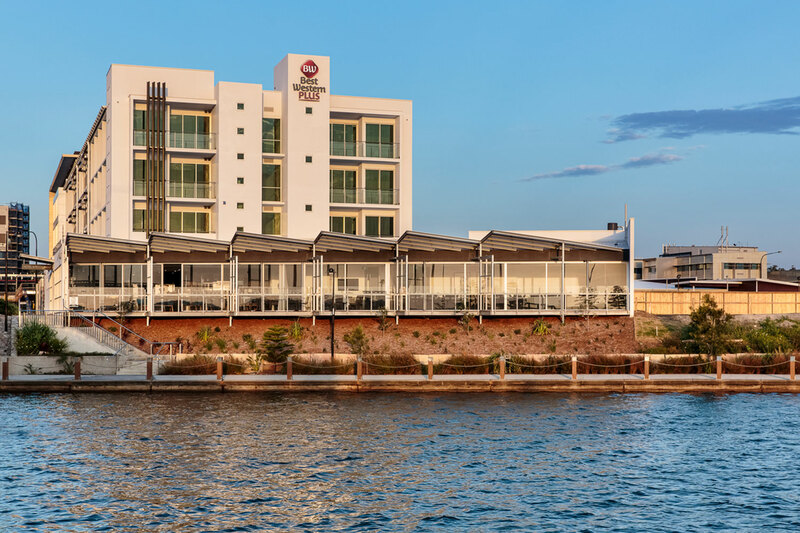 Integral specialises in large commercial construction projects in south east Queensland and northern NSW with the aim of delivering first class, quality building projects and provide total client satisfaction. Since 2009, Integral have utilised Info-Organiser for electronic document management of all project related filing including email archiving. Where can I find a simple email archiving solution? That was really the beginning question for us. In building, keeping accurate correspondence records is essential and every building project generates a huge document and email volume of received and sent communications. I went in search of an answer to replace our existing inefficient email archiving system and I found Info-Organiser. Then when I realised we could use the software to file, store and manage all our other paper and digital documents as well that was a welcome bonus. Did you have key criteria for email management? Firstly I wanted a flexible system that worked with Outlook. We looked at other software that changed the Outlook based file into another format but we didn’t need that complexity. Secondly, I wanted everyone across our sites to be able to access the files. One of the biggest headaches with desktop filing of emails was they were only on that one desktop and only accessible by that one computer user and if they were away we couldn’t access the information. Thirdly because there would be multiple users it had to be hands on and easy to use. How does Info-Organiser solve email storage? Every new project is assigned an internal code and we use that code in the subject line of all our emails. Every time an email is sent or received it is sent into Info-Organiser using the Outlook tool bar plug in. Then we have one admin person who indexes and electronically files every email according to the code, including any attachments. This ensures complete consistency. It takes a bit more admin time at the beginning but it pays off later for the project team when we need to find and retrieve those emails. Everything we need is right there on the screen instantly. How has document management changed your business? Our building projects are all commercial or industrial large scale jobs such as schools, aged care centres, office complexes and warehouses. One recent twelve month job generated 12,000 documents. If we had to find a specific piece of paper related to that project the old filing cabinet way, it could have taken an hour or more. Now it’s searchable and available within a couple of clicks. How long did it take you to adjust to electronic filing? It only took a month for me to really understand how to fine tune the program to suit our business. The software is very pliable and I like how I can play around and adjust it. In a way Info-Organiser has helped us simplify the way we think about our business. I initially thought I would need thirty categories of document types to file and search efficiently however I found that with the search function within Info-Organiser this has been reduced to half that number. When I wanted to make a major change to our category and index structure it only took two days for one admin person to change 30,000 docs! You could never make that kind of quick change to a paper based filing system. I appreciate the local Australian based support. I don’t want to be on hold for 30 minutes to an overseas company that will log my call and take 48 hours to get back me. With Info-Organiser I get same day response to any questions. They also listen to my suggestions for features and incorporate them into new versions. That’s the level of customer service I like to give my own clients and it’s great to be on the receiving end of it as well.